Message panel contains to identical Ubuntu one entries. The only difference is that one is with an icon, the other is not. I also see two "Ubuntu One" entries in Messaging Menu. - Restored 'Services' tab. Fixed desktopcouch dependencies management. - Fixing tests according to latest changes to syncdaemon. - 'Limit bandwidth' layout was improved (LP: #715812). 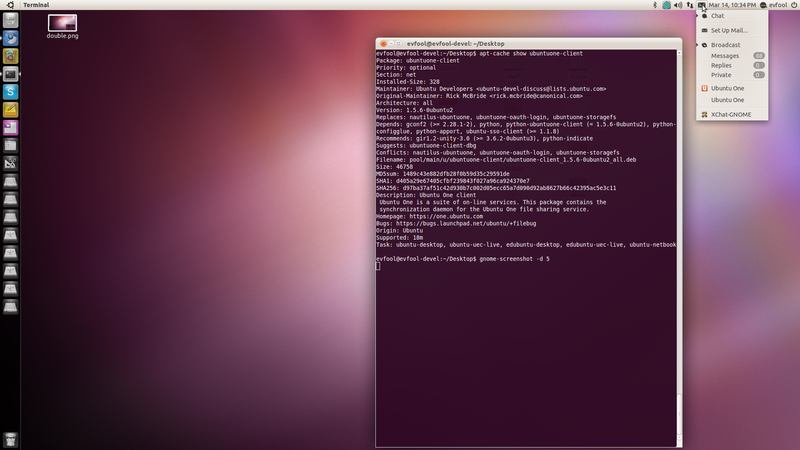 - Added 'ubuntuone' to the list of installable modules. - AskUbuntu.com link button has now tooltip (LP: #715879). - Checkbox in devices tab to toggle notifications (LP: #717172). - Fixed usage string to be more readable (LP: #715710). This isn't fixed for me. Even with 0.8.5-0ubuntu1 installed, I still get the two entries in the menu. Is there any additional action to be taken after the update, such as clear some cache, etc? the double entry is a problem in the ubuntuone-client project, since all the messaging entries are added by syncdaemon itself. Eric already landed a branch that should fix that, but is not packaged yet. Setting this back to Confirmed as this happened to me with ubuntuone-client 1.5.6-0ubuntu2 on Natty, see the screenshot attached. Still seeing it here with ubuntuone-client 1.5.8-0ubuntu2. Once Ubuntu One is open the icon-less entry disappears. Reproduced this by killing syncdaemon. If it's not running we get two entries, one with and one without the icon. Found the problem with Ken Vandine's help: There is a grouping entry in the .desktop file of the control-panel that causes this behavior.